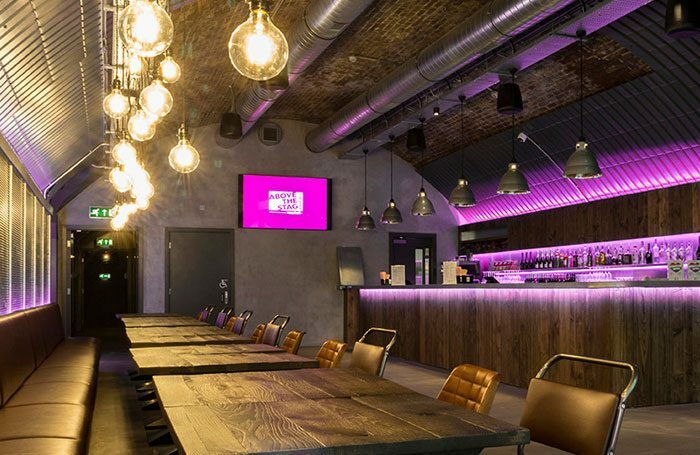 LGBT+ theatre Above the Stag has opened an all-day cafe and bar at its new premises in Vauxhall, which will also house a community hub. The theatre, which specialises in LGBT+ work, moved into the converted railway arches last year, but from this month will be open to the public all day six days a week. The venue’s bar will double as a daytime cafe space, run by sustainable catering company the Bear Chefs, and is designed for people to work and socialise in. It will be open Tuesdays to Sundays. The £1.4 million theatre comprises a 120-seat main house and a 60-seat studio space, as well as rehearsal space and function rooms. Above the Stag said additional spaces would be used to develop a creative hub, hosting events that serve London’s LGBT+ community. Above the Stag was founded in 2008, when it was located in rooms above the Stag pub in Victoria.